What Does Sir Walter Buffalo (DNA Certified) mean for me in Perth? At Superior Lawns Australia we are proud to supply DNA certified Sir Walter Buffalo to all our customers in the Perth Metropolitan area. There has been a lot of talk within the Perth market about different types of buffalos, whether or not they are Sir Walter; beware of imitators. Genuine Sir Walter buffalo can only be purchased from accredited Lawn Solutions Australia members... lucky for you, Superior Lawns is a proud member of the group! You can be sure you are receiving 'breeder guaranteed' Sir Walter every time when you purchase from us! 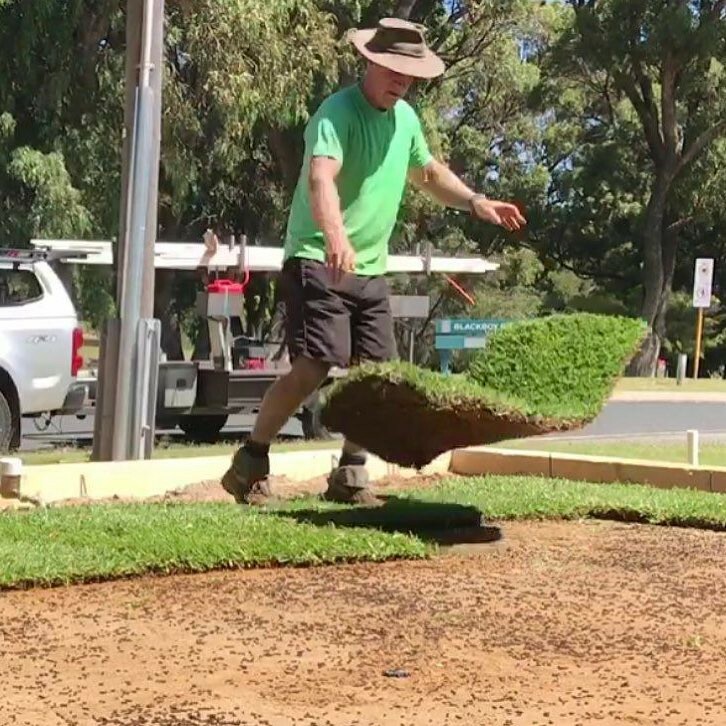 Sir Walter Buffalo (DNA Certified) is one of the most popular turf varieties in Perth and Australia with over 60 million metres being sold throughout Australia. To put that into perspective that's equal to over 450,000 homes. So what makes Sir Walter Buffalo DNA Certified such a popular variety? Our Sir Walter lawn will pretty much grow in any conditions; full sun, shade, in extreme heat as well as frosty conditions and is drought tolerant. What more could you ask for in a superior lawn? It is also non invasive which means it is a low maintenance lawn; it's low allergenic and weed resistant with a lush green colour. Why do we sell our Sir Walter in slabs? That's a really good question. We exclusively cut our Sir Walter Buffalo in slabs rather then rolls and what a difference it makes. Each slab is slightly thicker then rolls; 50mm, which means you got a larger portion of the root profile. There is no need to use a compactor after installation and your lawn will instantly look like its been there for years. The slabs are easy to install so why not give it a go yourself? If you are intersted in purchasing our DNA Certified Sir Walter Buffalo give us a call on 9303 2627 or email sales@superiorlawns.com.au for more information. We are proud members of the Lawn Solutions Australia team. We look forward to providing you with turf for your home to add the finishing touches. Newer PostInstalling lawn in Winter?